The College of Veterinary Medicine understands that excellence in education, service and research are enhanced when diversity, equity, and inclusion are practiced among our clients, students, alumni, faculty, and staff. Preparing leaders to solve global problems requires that advocacy for fairness and equity be part of the college’s ethos where everyone feels safe, heard, respected and valued. The College of Veterinary Medicine believes that human and intellectual diversity is paramount to academic excellence. As a college, we understand that our commitment to diversity is a shared responsibility among our faculty, staff, students, alumni and others who are part of the community. Together, we are committed to build and expand individual and organizational efforts that foster respect, dignity, fairness, caring, equity, and self-esteem. The College of Veterinary Medicine aims to provide equitable access and opportunity through the development of policies and initiatives that foster diversity and inclusion. 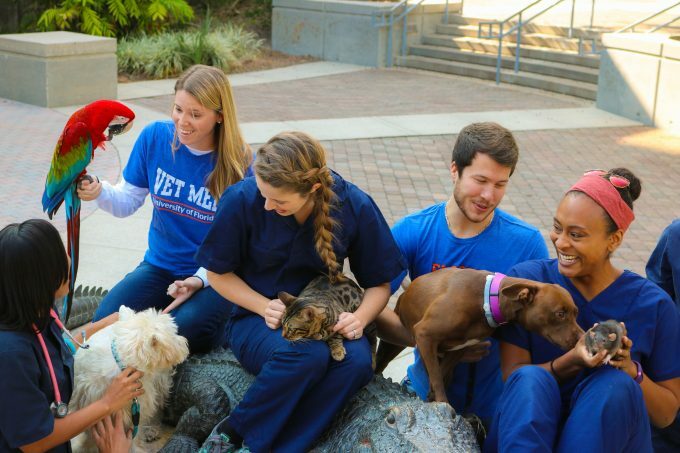 The College of Veterinary Medicine is committed to recruiting and retaining, on a nondiscriminatory basis, people who are members of groups that have been historically underrepresented in higher education. By championing educational equity, and fostering inclusivity in our classrooms, laboratories, and clinical environments, we will promote a veterinary global awareness that creates a new generation of graduates from diverse backgrounds, who will enrich the profession and our world.